Do you know much about the Knights of Columbus? You've probably seen the local K of C building at 8335 Philadelphia Road, Rosedale where Knights and their families meet. But, where do the Knights of Columbus come from? What do they stand for? And what are they all about? The Knights stand for a world of good things. K of C programs and projects make a difference in every community and country where they're found. And when you become part of the Knights of Columbus, YOU really count. If you're a Catholic man age 18 or more, you owe it to yourself and your family to find out more about the Knights. Families are the heart of the Knights. Your council provides a wide variety of opportunities for family involvement. Picnics, dances, parties, athletic events. Communion breakfasts, family Masses. Father/daughter and mother/son activities, outings and plenty more. All revolving around the family and the warmth and joy comes with being an integral part of it. Commitment of family begins with the basics...the "Crusade for Life." Recognizing that 1.5 million unborn lives are ended by abortions each year in North America alone, the Knights have made a determined effort to aid pro-life activities and groups, and will continue to do so until the lives of the innocent unborn are saved. The Knights of Columbus' family commitment extends to education. There are a host of K of C merit scholarships available on the Supreme, State and local council level. A federally guaranteed Student Loan Program is also available to assist members and their families pursuing higher education. The Knights can also be found lending their support to the Church at the diocesan and local level. Whether they're providing man-power and funds for church projects or playing a role in the life of the parish, the Knights are always searching for ways to help the Church. The Knights certainly are part of the community. But, they don't stop there. 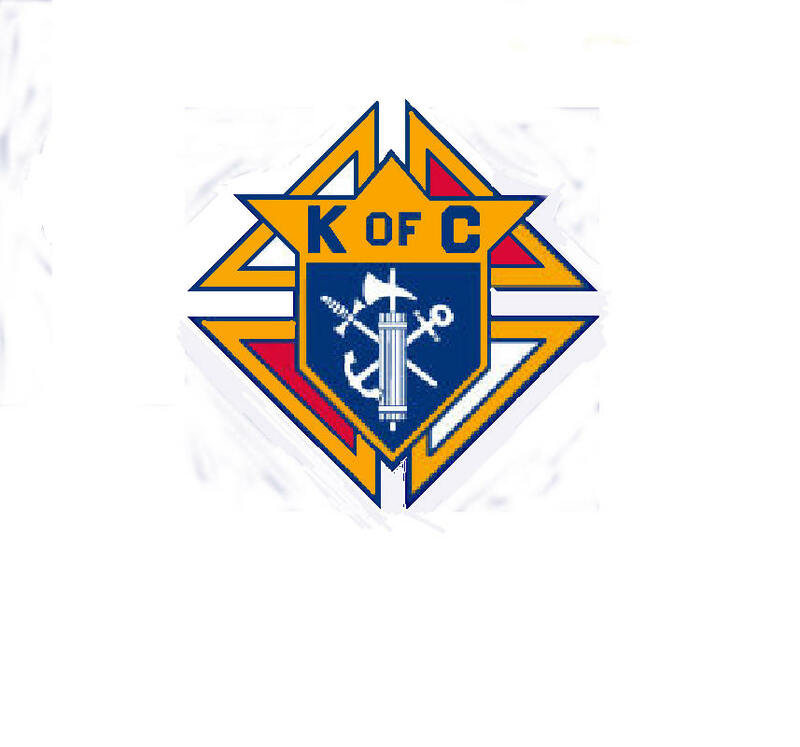 One year alone, the Knights of Columbus gave over 55 million man-hours to volunteer services. Everything from blood drives to meals-on-wheels. That year the Knights of Columbus donated nearly $109 million to charitable and benevolent causes. That includes $18 million in donations to programs for people with mental retardation. Knights feed the hungry and help shelter the homeless. They help senior citizens remain healthy and active. They fight to protect the right to life of all individuals. Yes, you can say the Knights and their families don't believe in sitting idly and just watching life pass by. From such promising beginnings, Father McGivney's original group has blossomed into a international society of more than 1.5 million Catholic men plus their families, in more than 10,000 councils who have dedicated to the ideals of Columbianism: Charity, Unity, Fraternity, and Patriotism.